In the beginning: "If you have to ask how much it costs, you can&apos;t afford it." During the industrial age: "We&apos;ll just put the yacht on the books as a corporate asset." The dawn of boat loans: "Sure, it&apos;s got collateral value, and maybe it&apos;ll appreciate!" Go-go &apos;80s and &apos;90s: "How about you pay for that with some home equity or a pledge of stock holdings?" New millennium: "Nah, we don&apos;t need income documentation or a down payment." 2010: "If you need a loan, you can&apos;t afford it." These days, obtaining a boat loan is going to take more time than in years past, and the borrower will be subject to more examination by those with the dough. This probably comes as no surprise. 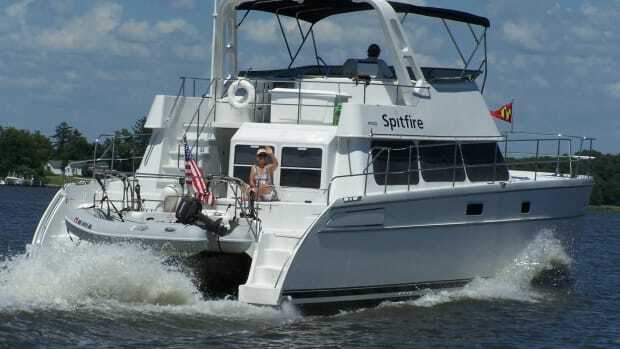 Successful applicants will, in general, need good or better credit backgrounds, should not be looking for complicated transactions, should be seeking funding for new or only slightly used boats, must bring a higher down payment to the closing than in the past, and must be involved with reputable manufacturers, dealers, brokers, or private parties. In sum, the process looks a lot like it did about 25 years ago. The bright spot is that interest rates charged on loans are low. In November 2009, lenders were quoting 6.5 to 9 percent on fixed-rate loans, generally toward the higher end for small borrowings and lower for larger amounts. From all indications, rates will likely stay in this range for the immediate future, since the Federal Reserve is using low rates to help encourage the nation&apos;s economic recovery. As a rule of thumb, loan rates will trend in the direction of 10-year Treasuries or the London interbank offered rate (LIBOR). Two years ago, there were dozens of firms issuing boat loans, including household-name banks, investment houses, insurance companies, and captive lenders. Today there are fewer than 10. Why? Because many original funders got out of the niche-lending arena, were merged out of existence, or failed in the economic meltdown. This will change, of course, as overall interest rates increase and the "credit spreads" that favor investments such as bonds decrease. At some point, lenders will become more accommodating and aggressive with discretionary installment loans because their risk, which for boats is historically low, will provide higher returns than fixed investments. And banks are sitting on huge sums of cash that they need to get working to ramp up revenue flow. "Although the number of primary lenders for boat loans has plummeted, many secondary sources, including financial service firms, loan brokers, and finance departments within marine dealerships, remain operational," says Karen Trostle, principal at Sterling Acceptance Corp. of Annapolis and president-elect of the National Marine Bankers Association. "Their ranks have been trimmed, but those who really know their markets, sourcing, collateral (that is, the specific boat, brand, location, etc. ), and loan products can be helpful guiding and securing deals. "They may also uncover better terms by knowing what qualifications different banks are seeking and only forward &apos;best matches,&apos; thus saving cost for the funders," Trostle adds. A listing of lenders who specialize in boat loans can be found at www.marinebankers.org. Ideally, those planning to borrow in order to buy a boat should begin the hunt two months in advance of the planned purchase and do some homework. Most lenders will request the last two years&apos; tax returns, a verifiable personal financial statement, and two years of business returns from those who are self-employed. "Self-assessment" testing will provide a reading on the likelihood of being approved for a loan and will smooth the way to inaugurate the actual process. Be realistic in viewing credit scores, take an honest look at tax returns, and gather information on investments, property values, and net worth. Talk with the family banker (and perhaps broker) to get their views of how liquid and creditworthy your profile appears. In late 2009, a credit score of 680 and a debt-to-income ratio of 40 percent were threshold points for successful borrowing. Be prepared to have at least 15-20 percent available for a down paymentmore for pre-owned craft or to provide comfort if there is a credit blemish. Don Parkhurst, senior vice president at SunTrust Bank in Fairfax, Virginia, points out: "Equity in the boat being traded can be included in the down payment. Lenders will be looking for steady, historical wage and income streams and consistency in employment and residency. Expect to do some &apos;trading&apos; on interest rates or length of term to gain approval. Some loan prospects might say the bar has been raised too high, but in reality, it has just been set back to where it was about two decades ago." Preapprovals, which suggest a borrower will qualify for a specific loan amount, should be in pocket while you&apos;re shopping for the new boat. But don&apos;t assume that the exact amount you&apos;ve been preapproved for will be available once you&apos;ve actually chosen the boat you want to buy. The amount could be less if the lender finds a devil in the details. On the other hand, the amount could be a bit more if there&apos;s an uncovered angel. The clarity of the deal, the quality of the boat, and the reputation of the builder or seller will be important now. "Partner ownership, family help needed with financing, poor financials on a related business, and other &apos;flags&apos; that may show up to a lender checking a prospect&apos;s borrowing ability will slow or derail approvals," cautions Bill Otto of Lake Effect Financial Services in Grandville, Michigan. "New or newer boats with recognized brand names sold or maintained by respected yards and dealers will speed the process." Otto notes that a survey of condition or inspection will be required, perhaps even on a new boat. 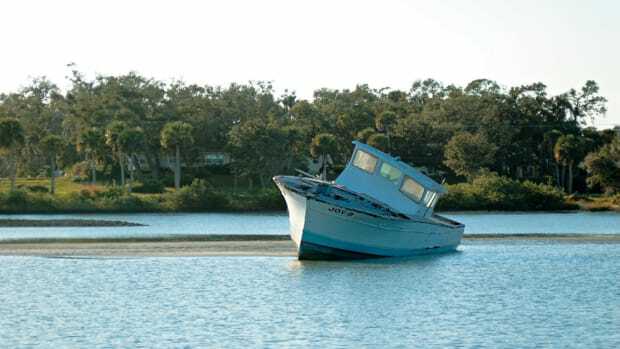 Is the boat readily insurable? Will the boat be out of harm&apos;s way (not in hurricane alley), or will it be used only within U.S. boundaries? "Yes" answers to these questions will help. So, why jump through the hoops of getting a loan if a buyer can pay cash? Without a loan, high-worth individuals will likely need to cash in some investments or CDs, which usually will have negative tax consequences (and the trigger on these can always be pulled later to reduce or pay off a loan). Leaving investments at work may be more beneficial than messing with them now. As noted above, borrowing rates are likely to move higher, so there&apos;s a risk in waiting to postpone securing a loan. In today&apos;s market, paying 7 percent on a loan to gain a 2 percent investment return on the same amount may seem silly, but read on. The main reason to consider borrowing to buy a boat is the ability to deduct interest paid on the loan if you can claim the craft as a second home. In the case of long-range cruisers and trawlers, the boat may be your primary residence. Rules apply, of course: the craft must be livable (have berths, a head, and a galley), only two "homes" can be claimed on returns, and the combined amount of the loans cannot exceed $1 million. As always, review strategies with counsel to analyze your specific tax situation. For those who may not be approved for a regular loan, there are options. If there is value in your primary residence, consider a home equity loan. Qualifying for a home equity loan will also be more difficult now than in years past. Bear in mind that when you secure a boat-specific loan, you preserve your ability to tap home equity for other purposes. Always ask if there is help available through a custom finance arrangement with the boatbuilder, especially on new models. If your loan is denied, ask the lender how you can improve your odds in the future. Other ways of getting on the wateror simply waiting until credit markets warm upare becoming more popular. Programs for partial ownership or timesharing are becoming more widespread, with details taken care of by a manager. These programs may limit your ability to cruise at a moment&apos;s notice, but they greatly reduce the responsibilities of ownership. Boat clubs are becoming more prevalent, working their way from the coasts and Great Lakes to more inland locations. Such clubs allow those who want to go boating to pay an annual or monthly fee and then have access to several boats in a fleetwithout ownership. Chartering provides an opportunity to "try before you buy" and may open up other shared ownership deals. A quick Internet search will identify those providing these services. Boating has always been about getting away from on-land concerns and details. If a boat loan allows you to achieve that result, be aware that the current financial climate may require some additional legwork. Try to focus on what lies on the horizon, when the process is finished and the benefits are flowing. Buyers who start their search for a boat loan with a longer lead time and a flexible attitude will be well served.